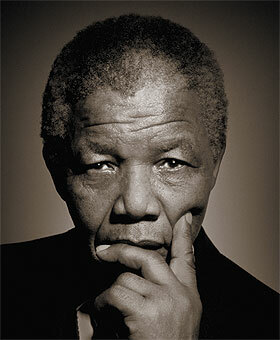 Happy 94th Birthday, Nelson Mandela! Valuable Lessons about Life & Leadership. It is crucial for every manager to develop their distinct leadership style. Every person is unique, and leaders become their personal best when they are authentic and generate their style based on their individual strengths. Merely copying somebody else’s leadership style can in fact be disastrous for managers – and their teams. To improve your leadership skills however, it makes sense to look at role models and see what you can learn from them. When discussing such role models with my executive coaching clients, there is always the same name that comes to my mind first: Nelson Mandela! What impresses me most about Mandela is how he always put the greater good over his ego. Imagine you were imprisoned for 27 years under harsh conditions, wouldn’t you be craving for retaliation upon your release? Mandela had many opportunities to take revenge when he became the president of South Africa. To the surprise of the black population, he did not make use of these opportunities and instead lead the country to peace. Mandela had an incredible discipline. His daily morning routine in prison started with running in place for 45 minutes, followed by 200 sit-ups and 100 finger-tips push-ups. “Discipline is Remembering What You Want,” said David Campbell. Obviously Mandela knew what he wanted and remembered it. Nelson Mandela inspired people because he valued them. He would learn as much as he could about a person before meeting them. It is said that he learned all the names and talents of the Springboks team when he brought the rugby world cup to South Africa in 1995. Although Mandela was very focused when at work, he would interrupt whatever he was doing for impromptu meetings or greetings, and he always saw the good in others. How can you apply Mandela’s lessons for your on leadership development? Contribute to the well-being of others. Often leaders have a big ego. However, contributing to individuals or society is so much more rewarding than running after money or status symbols. Value and acknowledge other people. Remember what you want. Discipline has nothing to do with forcing yourself to do certain things. Discipline means having a vision and then consistently execute the actions that will turn your vision into a reality. Value others. What do you know about the people you work with except their names? (In large organizations, often we do not even know the names…) Find out about the families of your staff, what hobbies they have, or what their life vision is. Recommended viewing: “Invictus” with Morgan Freeman as Nelson Mandela and Matt Damon as Springboks’ captain Francois Pienaar, directed by Clint Eastwood.